The Thunderbolt 3 (USB-C) to Thunderbolt 2 Adapter lets you connect Thunderbolt and Thunderbolt 2 devices - such as external hard drives and Thunderbolt docks - to any of the Thunderbolt 3 (USB-C) ports on your MacBook Pro. In addition, it can be used to connect Thunderbolt-enabled displays - such as the Apple Thunderbolt Display and LG Thunderbolt 2 displays - to any of the Thunderbolt 3 (USB-C) ports on your MacBook Pro. 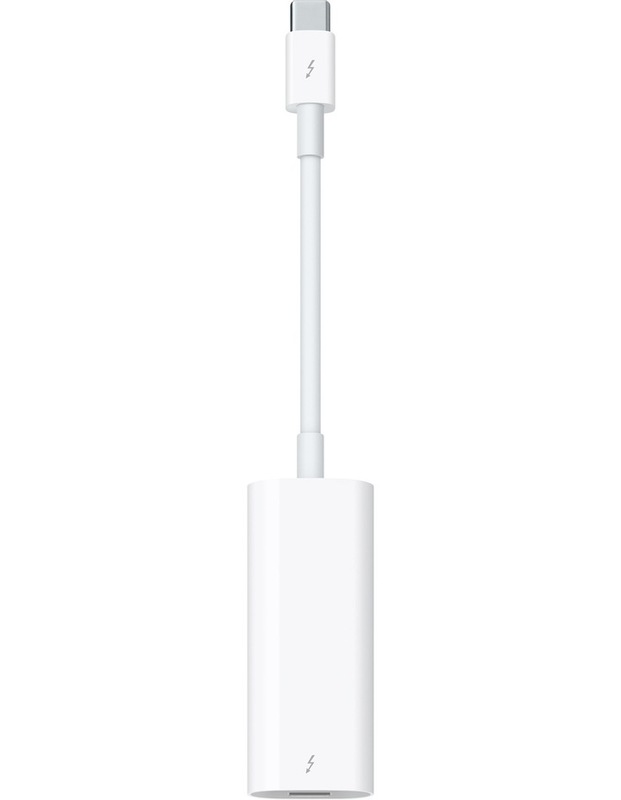 However, using this adapter with an Apple Thunderbolt Display requires a power source, because the display does not provide power through the adapter.